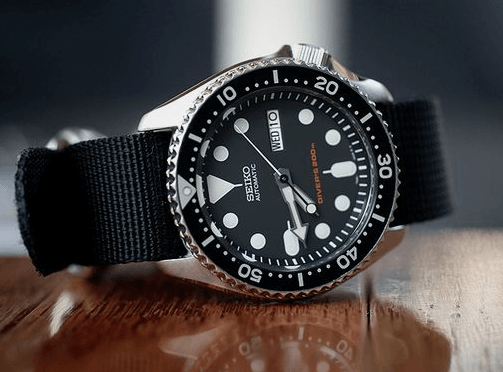 / 2019 Seiko Automatic SKX007K – The most affordable divers watch! 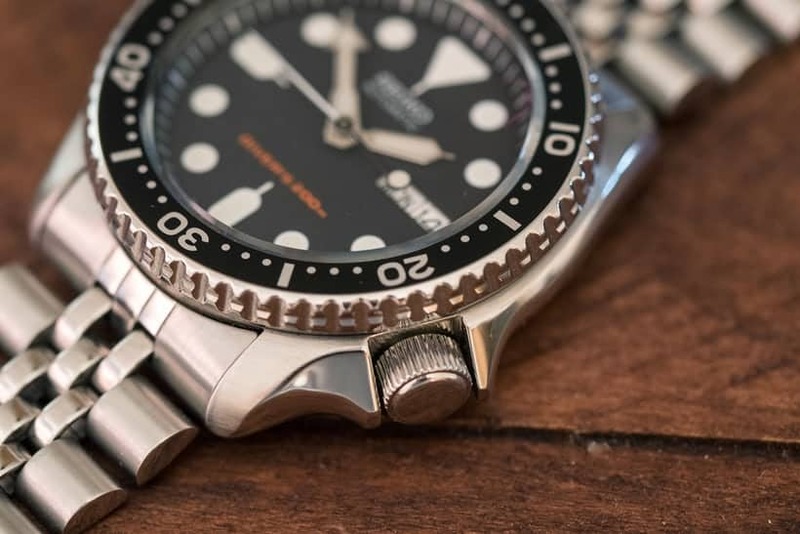 In this review we look at the features of this affordable Seiko divers watch, its movement, and compare it to other very similar watches. Divers watches are often sought after for their style rather than whether or not they're water resistant. There are plenty of ‘diver’s watches’ on the market that are simply not built for scuba diving. Seiko has always punched well above its weight in terms of looks and value. 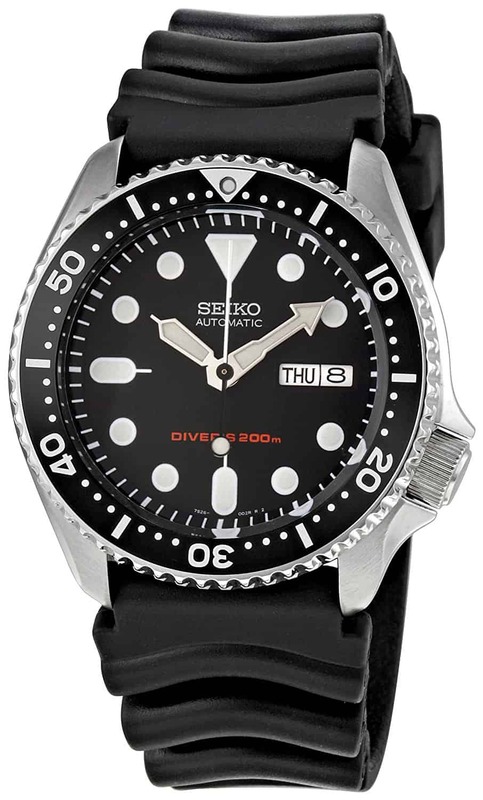 The Seiko Men's SKX007 Automatic is suitable for recreational scuba diving, as well all other water activities in general. The Seiko SKX007 comes with either of two different band types. The SKX007K2 comes with a stainless steel band and a fold over clasp. The SKX007K has a black rubber band with a stainless steel buckle clasp. Click on the link below to see the answer to your most pressing question, or continue scrolling to read the entire review. What movement does the SKX007 Automatic use? 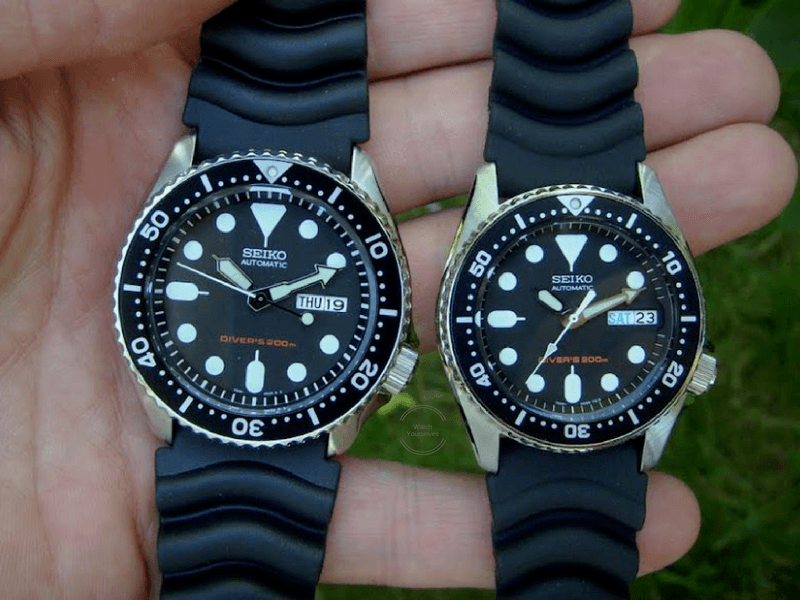 What's the difference between the SKX007 & the SKX013? What about the Warranty and General Maintenance? Personalize the Band to match your style! Is Seiko still a good watch brand? What's the difference between the SKX007 and the SKX009? 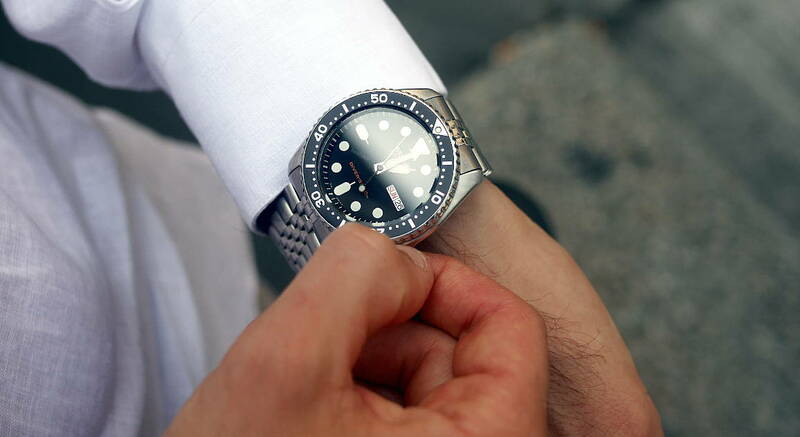 The Seiko SKX007K is a very well built automatic watch. This is a great looking, functional watch that works well in all weather conditions. 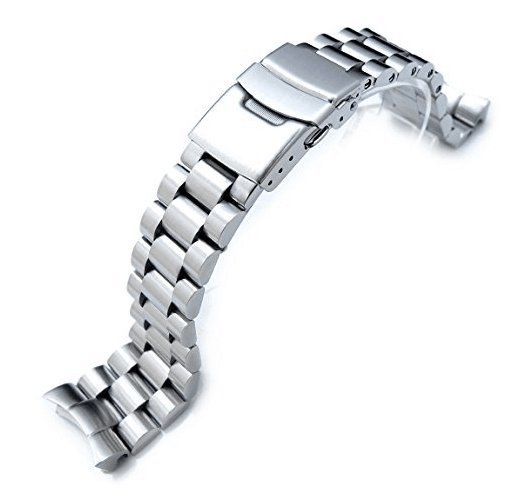 The watch case is stainless steel and extremely well made. It measures 42 mm across with a thickness of 13 mm. It weighs 7.04 ounces. 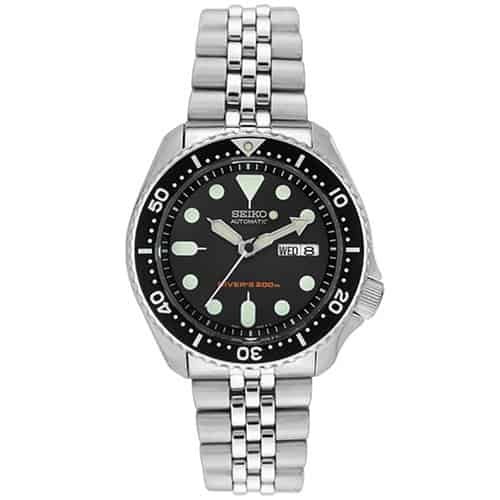 The Seiko SKX007 is certified to ISO 6425 which is the standard used for diving watches. It has the classic sporty look of a divers watch and is water resistant to 660 feet (200 meters or 20 ATM). The lugs of the Seiko SKX007 are 22 mm apart making it easy to personalize this watch with a different band type. There's a beautiful depth to the watch face. The SKX007K has the classic Seiko look with a large dial and no numbers on the watch face, only big circular markers. There’s good contrast between the black background and white markers making it easy to read. The markings are large enough to be easily read underwater, even in poor visibility. This diving watch has a day and date calendar in the 3 o’clock position. The watch face covering is non-reflective Hardlex Crystal which is shock-resistant and as hard as nails. Hardlex crystal is less scratch resistant than sapphire crystal, but much more hard wearing than mineral crystal. Seiko lume is legendary and unique in its performance. Seiko uses Lumi Brite luminescence paint which is completely free of radiation and safe for the environment and for people. After only a brief exposure to sunlight or artificial light (anything more than 500 lux), the SKX007 dive watch will glow at full brightness around 10 minutes. It will continue to glow for up to 5 hours in the dark which is more than 10 times longer than other luminous paints. The hands and dial markers are generously coated and the lume is evenly distributed to the very edge of each marker. The Seiko SKX007K is simplicity at its finest. The SKX007K doesn’t need a battery and you never have to wind it. It has a Japanese 7s26 automatic movement inside. 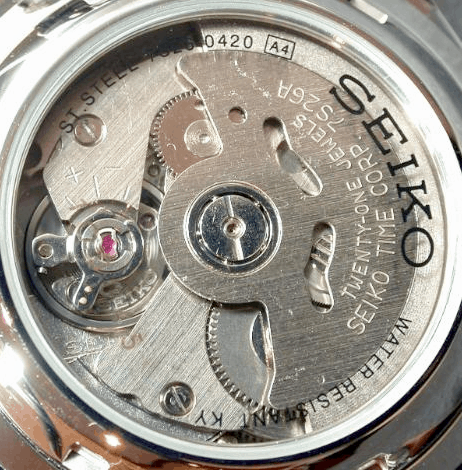 The 7s26 movement is one of the most popular for Seiko. The motion of your arm moving will keep the main spring constantly wound. It will stop working if you don’t wear it for around 40 to 48 hours, but doesn’t take much to get it going again. Having ISO 6425 certification means this is a true divers watch. This watch meets the safety standards that apply to all diving watches. Safety features include a rotating stainless steel bezel which shows up to 60 minutes of elapsed time. This will time your decompression stops without any problems. The Bezel has a notched outer edge and is unidirectional. It can only be rotated counter-clockwise. There's a ratchet mechanism so you can hear audible clicks when rotated for precise measurement. Each click represents half a minute. It has a distinct zero marker that indicates the zero starting point, and minute markings and number markings in ten minute increments. 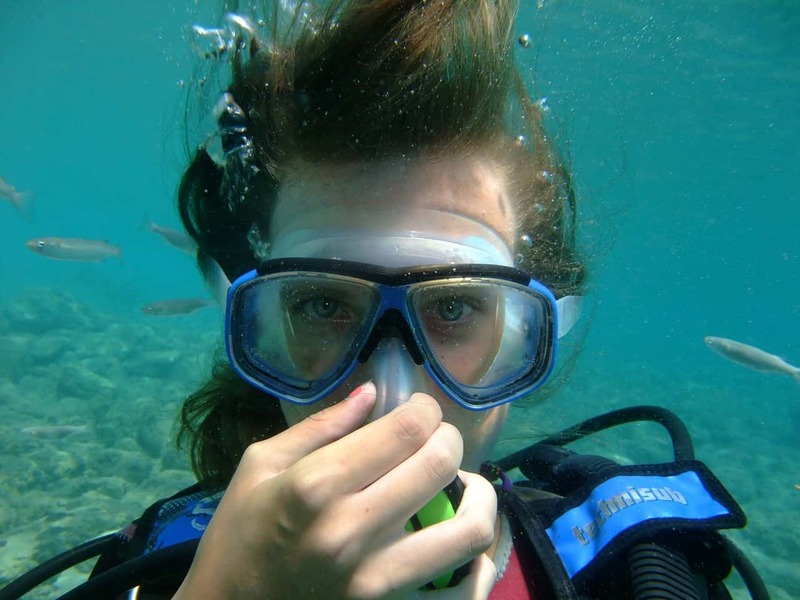 Also for safety reasons, rotating the bezel while underwater is intentionally more difficult. This is to prevent it from being rotated accidentally. The Crown is located at the 4 o’clock position, and is for setting only. 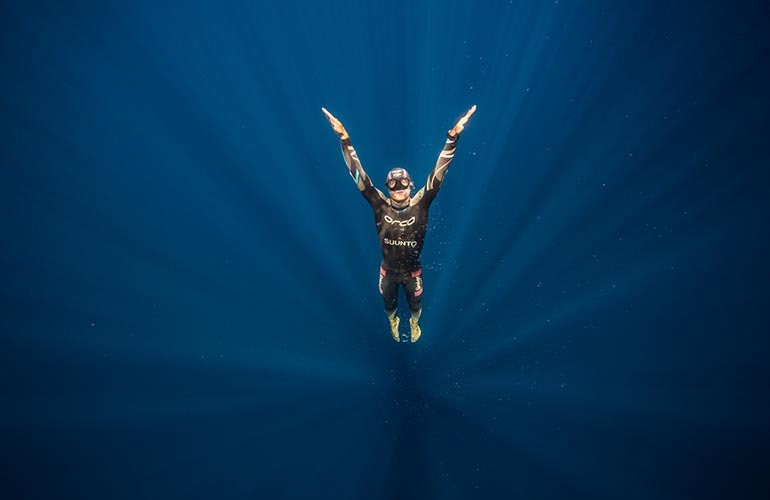 This diver's watch can't be hand-wound. Always make sure the crown is screwed fully down to prevent moisture from entering the movement area. Don’t turn or pull out the crown when the watch is wet, and never put underwater when the crown is pulled out. The crown should be turned from time to time to prevent corrosion and maintain the flexibility of the gasket. The SKX013 has all the features and looks exactly the same as the SKX007, but overall is smaller. The SKX013 is classed as a mid-sized watch. The SKX007 is 43 mm across (not including the crown), and 13 mm thick. The lug width is 22 mm. The SKX013 is 38 mm across (not including the crown), and 12 mm thick. The lug width is 20 mm. The SKX013 is a great choice for anyone with a smaller wrist. These also come with either the black rubber strap or stainless steel band. The rubber band of the SKX007K is 22 cm wide and can feel stiff when new but it will soften with use. Don’t over expose the band to the sun or chemicals such as sun-block or mosquito repellent as these will not only reduce the life of the rubber, but they can also cause discoloration. Always rinse in fresh water after swimming in salt water or a chlorinated pool. A regular clean of the band with a mild detergent and a soft brush such as a toothbrush will help extend the life of the strap. Also, a very light application of a rubber protector such as a silicone lubricant will keep the rubber pliable. The best place to buy the correct grade of silicone is from a dive shop.You need a food grade silicone which is sold in small quantities. You’ll only need a small amount, and a little goes a long way. Apply the silicone to the cleaned rubber and rub it in with your fingertips. Don’t ever apply silicone to a dirty band as this will only trap the contaminants in the seal. The softer and dryer the rubber band, the longer it will last. To prevent the case or bracelet becoming discolored, be careful not to expose the watch to strong detergents, solvents, adhesives, mercury, paints or cosmetic spray. 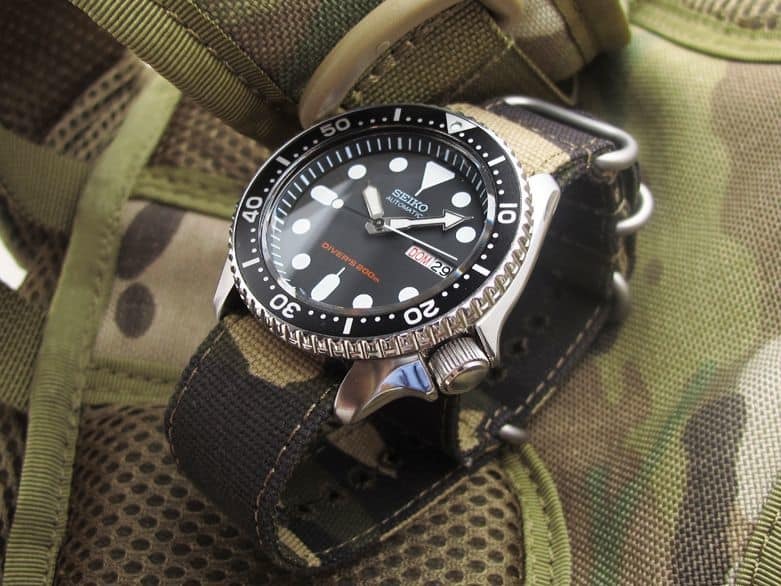 Although not as common as more expensive brands, unfortunately the Seiko SKX007 is heavily counterfeited. Be careful of grey market or used watches. Although purchasing grey market products isn’t illegal, it does have its risks. The easiest way to avoid purchasing a good replica is to only buy from verified sellers. Every watch produced by Seiko comes in original packing and include a warranty. If testing reveals problems, returns are easier if bought from reputable dealers such as Amazon. Always check the return policy before buying, and that the product you are purchasing comes with a Warranty. When buying through an authorized distributor such as Amazon, the SKX007K comes with a 2 year warranty. Provided the watch is used as directed in the instruction manual, the warranty covers defects on the watch case, the internal movement mechanisms, crown and the crystal display. Each Seiko comes with a serial number imprinted on the casing. In order to make a warranty claim, the serial number must be clear with no part of the watch back or original serial number removed or altered. As with most warranties, normal wear and tear or misuse are not covered. 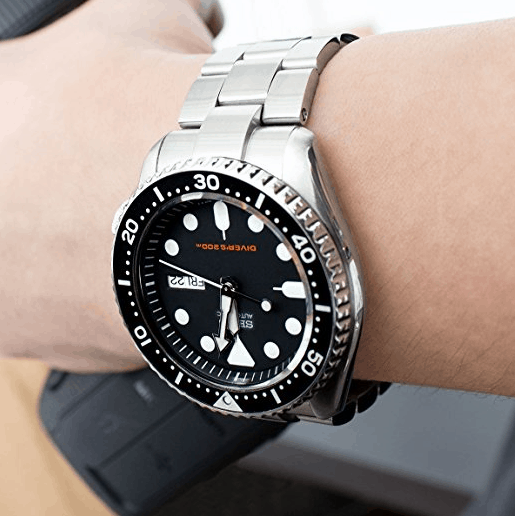 How often should you get the Seiko SKX007 serviced? 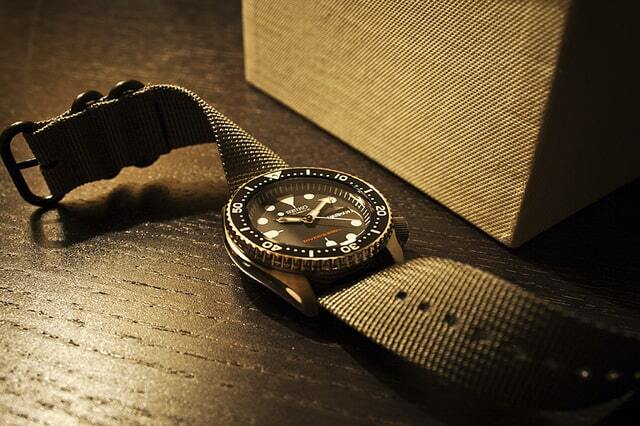 Seiko recommends servicing the diving watch around every 3 years by an authorized dealer or service center. Technical specialists will inspect and replace any parts that may have worn out over time. They can also clean, re-oil it and check the water resistance. The crown, case and crystal seal will be checked to make sure they remain intact. Servicing your SKX007 every 3 years will ensure it continues to function with precision and provide reliable service over a long period. It's important not to leave your divers watch near strong magnetic objects for long periods. Magnetism will adversely affect the SKX007 causing either a gain or loss in time. Magnetic objects can include televisions, PC speakers, cell phones, electric razors, hair-dryers and magnetic necklaces. 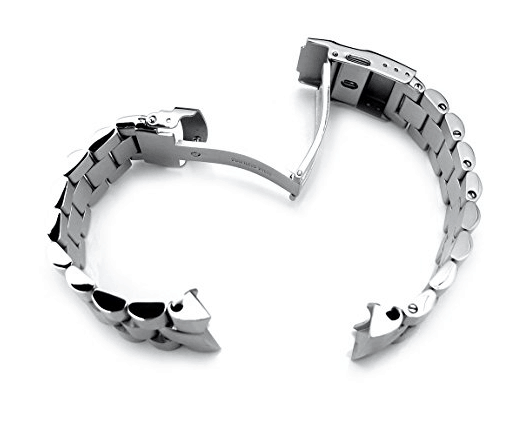 Watches affected by magnetism can remain charged even after being removed from the source and may need to be sent to an authorized Seiko Service Center to be demagnetized. The Seiko SKX007 has 22mm lugs and can easily be personalized with a different bracelet type. Choose from Nato bands, Perlon, Suede, Leather, Rubber, or stainless steel to suit your style or the occasion. Switching to a 3-ring brushed steel heavy Nato strap by Clockwork Synergy quickly transforms the Seiko SKX007. Below is a video showing the Seiko SKX007 with 8 different styles of bands. 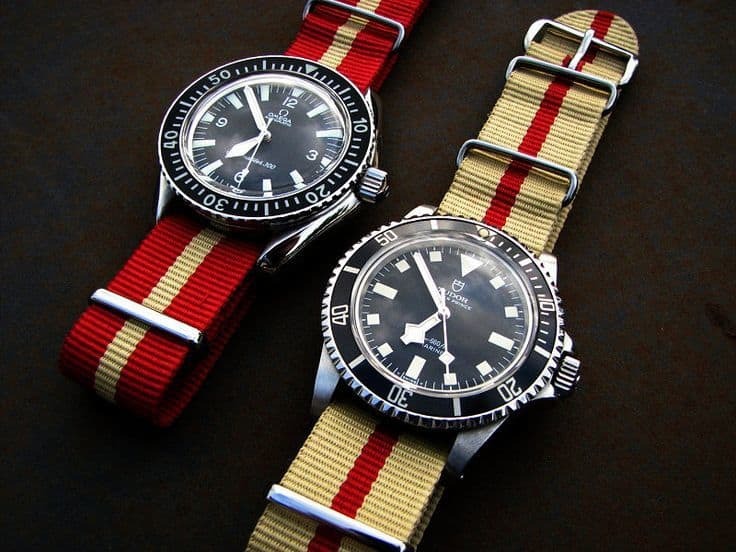 This shows how great the Seiko SKX range can look with different band types. Many people ask if Seiko watches any good? The reason behind the question is usually because it’s hard to believe you can find a good quality divers watch in this price range. There’s no doubt Seiko make quality watches for a price that fits everyone’s budget. To get the same functional excellence as a Seiko, you would probably have to look at a G-Shock, and while the G-Shock is a fantastic tool watch in its own right, it is not ISO 6425 compliant. Time To Choose! The Seiko Men's SKX007 Automatic Divers 200m is one of the best affordable dive watch. It has the classic and desirable diver watch look and is an excellent diving watch that can also be worn on any occasion. This watch is for anyone looking for a watch with the classic divers watch look that is good quality, strong and uncluttered. There are lots of cheaply made, bad quality 'divers watches' in this price range. Click the button below to see the latest price and any discounts that apply for the Seiko SKX007 on Amazon. The SKX007 is a true divers watch. It's great value and one of the best dive watches available in this price range. The SKX009 is very similar to the SKX007. The main difference is the color of the bezel and watch face. The SKX009 may be the one you're after if you're looking for something with a little more pop. This is a great looking watch, it has the classic divers look to it. It is a solid timepiece that won’t let you down. Great review for a great watch. I agree that this is a great looking watch. I would wear this all the time, not just as a divers watch. I love that it’s an Automatic and doesn’t require a battery or winding to keep it running. Thanks for the great review! Your point about sticking with an authorized seller is very valid – not something you want to get caught out on. It’s great to know Amazon is an authorized seller too! What a superb review for a fabulous watch. Great detail and the best images illustrating the watch I’ve ever seen. I just had to get one of these wonderful timepieces. A watch that will last decades. This is often the watch that sparks interest for budding collectors, a true classic. Buy one folks, you’ll never regret it! Thank you, I’m glad you liked the review! 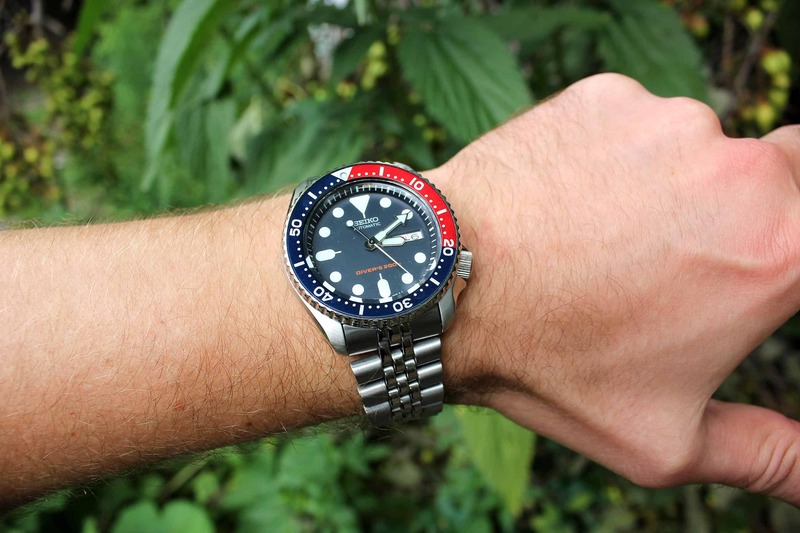 I agree with you that the Seiko SKX series is a great starting point. Beautiful classic style at a really nice price. I totally love the SKX007. Gosh that steel strap looks so good. Not only that, it can work well with a suit too, just like the picture you put up there! My only concern is only on the watch size. Thing is I have a small wrist so much so most of the watches out there are oversized when worn by me. 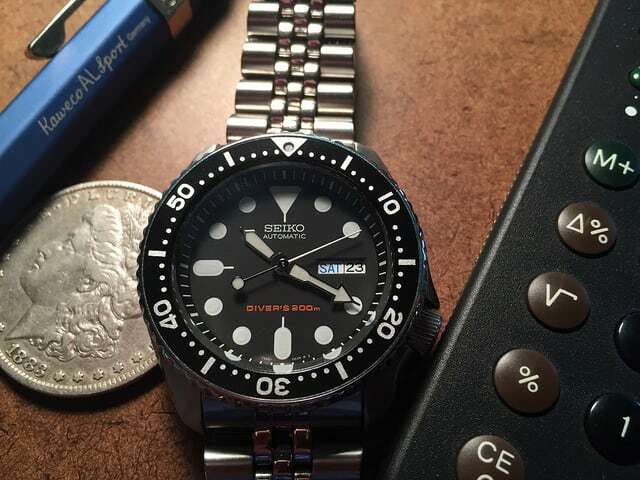 I stumbled upon an article that says the SKX013 is the same as this SKX007 but is a smaller size. Just wondering what do you think about the SKX013 and is it really the same watch with the same design? You’re spot on. the SKX013 is exactly the same as the SKX007, with the same movement, it’s only smaller. It’s much better suited to smaller wrists at 38mm across. What a great review for a great watch. I’ve only been wearing Seikos for two years and lucky enough to have a small collection. My skx007 is one of my favourites but definitely the most versatile; I have several straps which make it look like a completely different watch. A beautiful piece and a lot of watch for the money. It has the quality and excellent value for the price. Very hard to beat.